Looking for an image editor that isn't bloated but is easy to use and powerful? ImageWell may be your answer. ImageWell can resize, crop, rotate your images and even store them remotely. It allows you to annotate your images with built-in shapes, labels and arrows. In addition, ImageWell allows you to extend its functionality thanks to third-party developers that have created templates. ImageWell can handle most major image formats and has a built-in screen grab tool for screenshots. It's also surprisingly easy to drag and drop images into it from other applications. Although its quite basic, the third party add-ons allow you add layers, create collages, drop shadows, borders and much more. Other than that, you can also adjust the exposure, brightness, contrast, saturation and sharpness. Note however that ImageWell has recently been transferred to the Mac App Store. Users of previous versions will have to upgrade to the latest version via the App Store as it won't be made automatically. ImageWell is a powerful and effective image editor that's high on features but lightweight and easy enough for anyone to use. Free update for existing 3.7.6 users ImageWell 4 can be purchased at mac app store for $4.99. Previous version 3.7.6 which includes batch processing (ImageWell 4 does not include this feature), OS X 10.4, 10.5 support, and localizations (ImageWell 4 is english only) can be purchased at our store for $19.95 CAD. Serial numbers for 3.7.6 can be used to activate ImageWell 4. 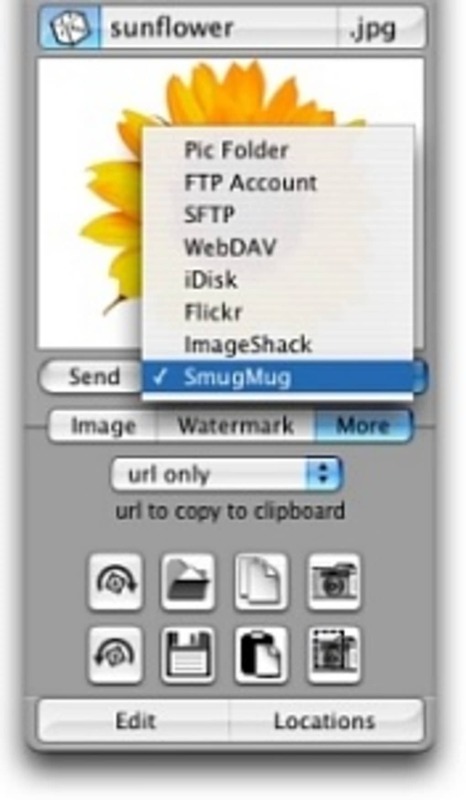 ImageWell is the popular image editing software for quick manipulation and upload to an iDisk (.mac account), FTP server or other web server. Whether you are adding images to your documents, editing offline images, or posting photos to the web for others to see, ImageWell will do the work for you. 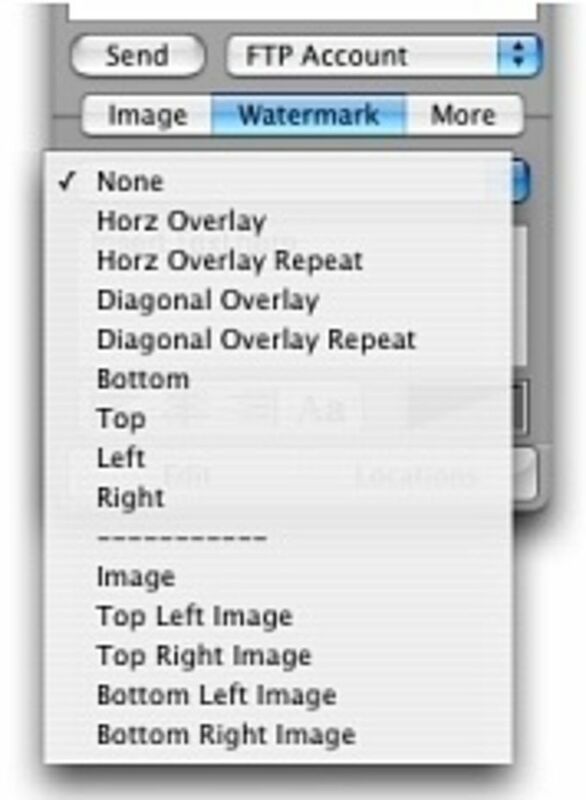 Drag images in and out of the well, resize, crop, shape, rotate and add a watermark, border, or drop shadow. 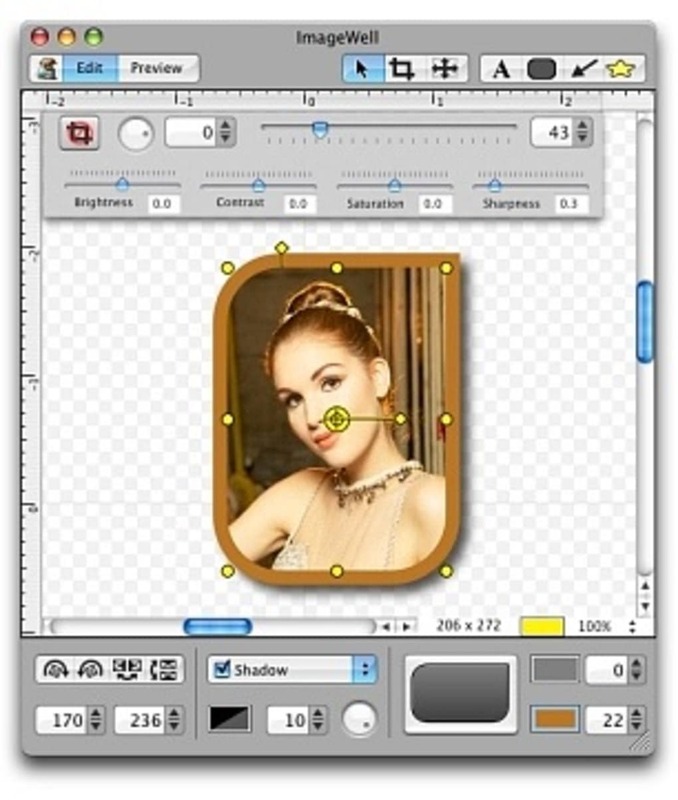 No need to launch multiple applications to add text, labels, arrows, circles and squares to your image. Add a thought cloud or talking balloon. A few simple clicks, copy, paste, and send them off to your web server instantly. At the click of a button the image is sent and a handy URL is copied to the clipboard. Don't want to send the image to the web? You don't have to, it's not the law. 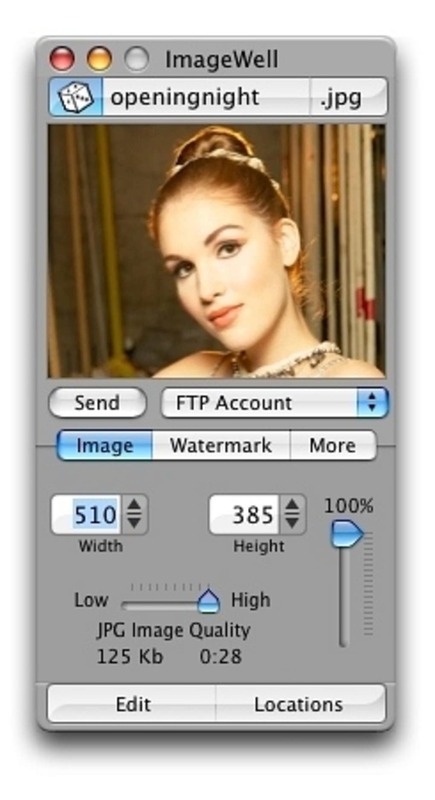 Edit your image, give it a name and file type, and simply drag and drop the image to the desired destination on your computer to save it there. Or drag and drop it into another document or presentation. I miss having Imagewell on my computer. . I have used Imagewell for years and now that I've replaced my computer it says I can't download it because it's from a third party developer. Truly an amazing little app. Not usable . Said it's from a &quot;third party developer&quot;. Took long to download as well, got a popup (forgot those things even existed) and then couldn't use due to it being from a third party developer. I never got that notification before nor a popup after installing something. Simple and efficient. ImageWell has served me well for basic functions for a couple of years now. With no experience, I was able to figure out how to resize photos for avatars (which usually require a very small photo file size), convert to jpg or png, etc... and create simple borders and caption text. It is not Photoshop by any means, but it is the perfect Mac user's program if you just want something that always works. On the down side, everything tells you it is free, but it appears to cost $19.95. Maybe this is a new development? My copy was locked randomly after I upgraded telling me that my free trial had expired. So easy to resize photos and convert to most image types. It doesn't give links back to the creator's website for uploading updates. What do you think about ImageWell? Do you recommend it? Why?